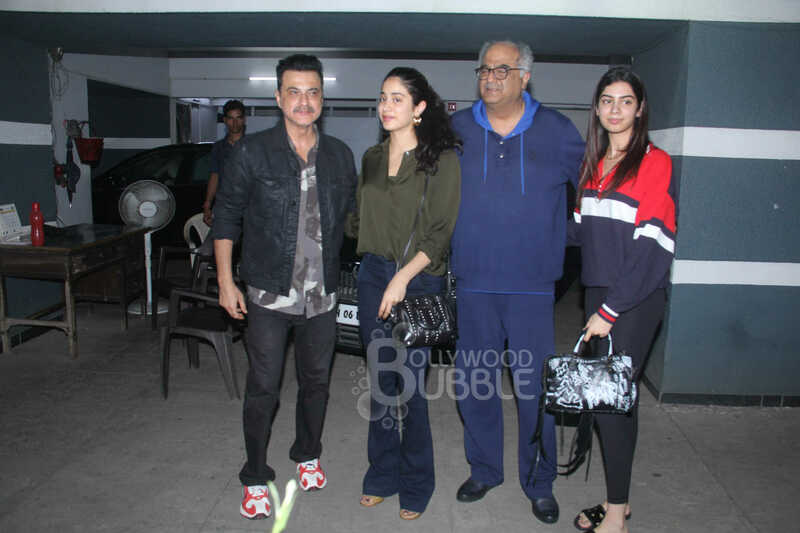 Janhvi Kapoor was spotted attending cousin Shanaya Kapoor's birthday and she looked lovely in a military green top and denims with her hair tied in a pony. 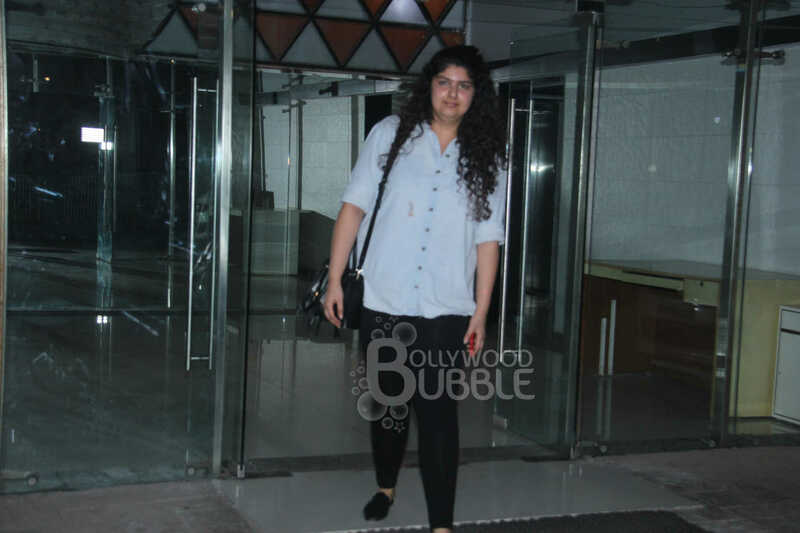 Janhvi's sister Khushi Kapoor was also seen with her and the leggy beauty looked awesome in tights and jacket. Anshula too joined her step-sisters Janhvi and Khushi to make the birthday even more memorable for Shanaya. 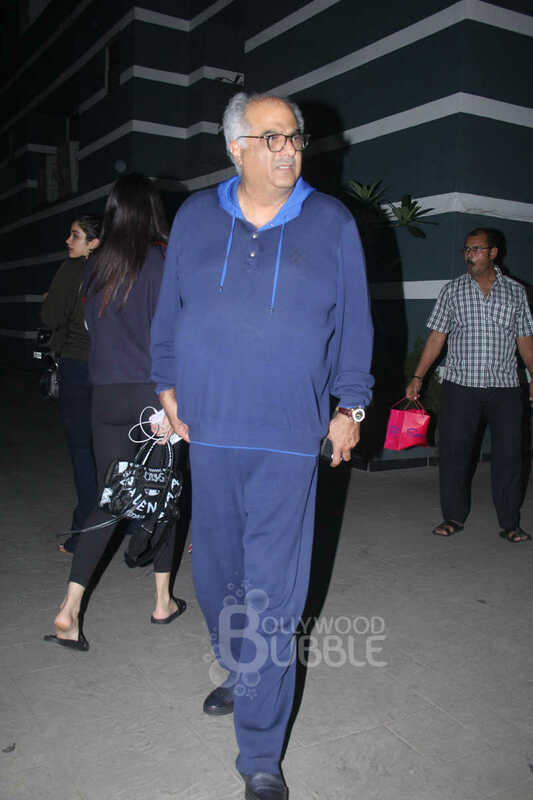 Boney Kapoor in a blue track and hoodie looked smart as he joined his son and daughters to spend the evening with his family ringing in Shanaya's birthday. 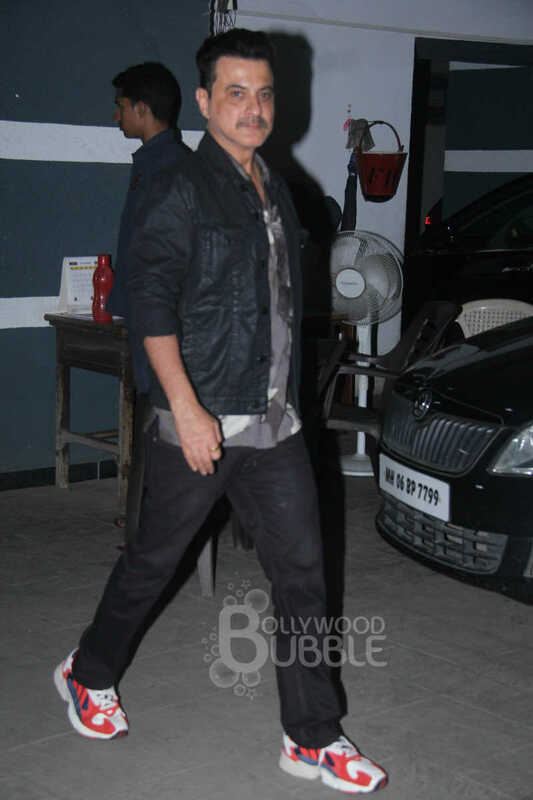 Sanjay looked smart as he welcomed his guests home. 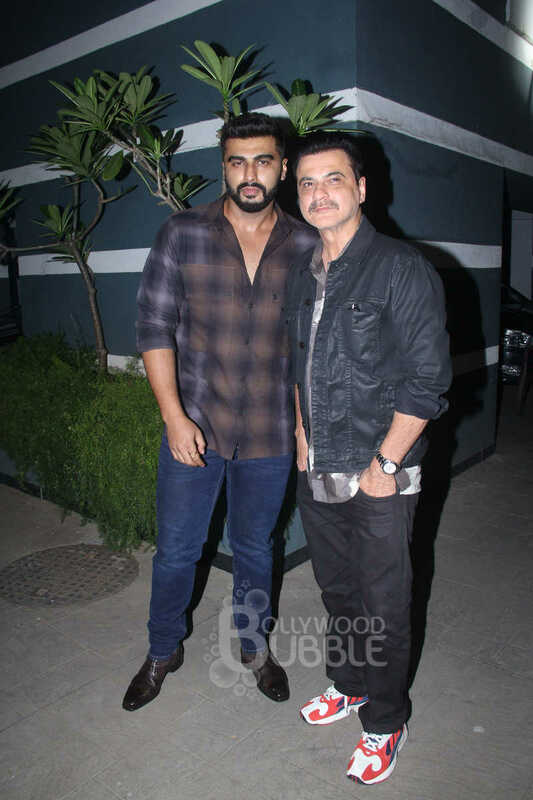 Arjun Kapoor looked dashing as he posed with his uncle Sanjay Kapoor for the media. 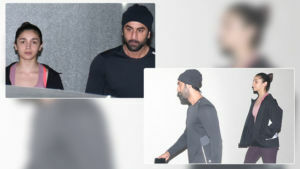 He was soon surrounded by fans who insisted on selfies that the 'Namaste England' star obliged to them with a smile on his face. 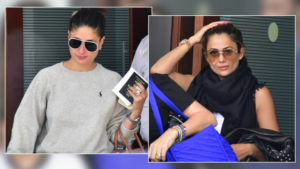 The Kapoor family obliged the paparazzi with a group picture. 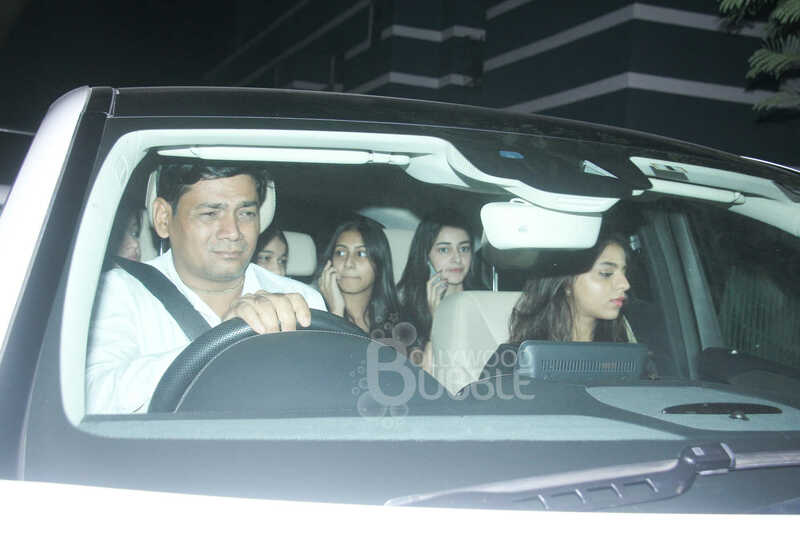 Shanaya's besties Ananya Panday and Suhana Khan were also spotted arriving for the birthday bash. 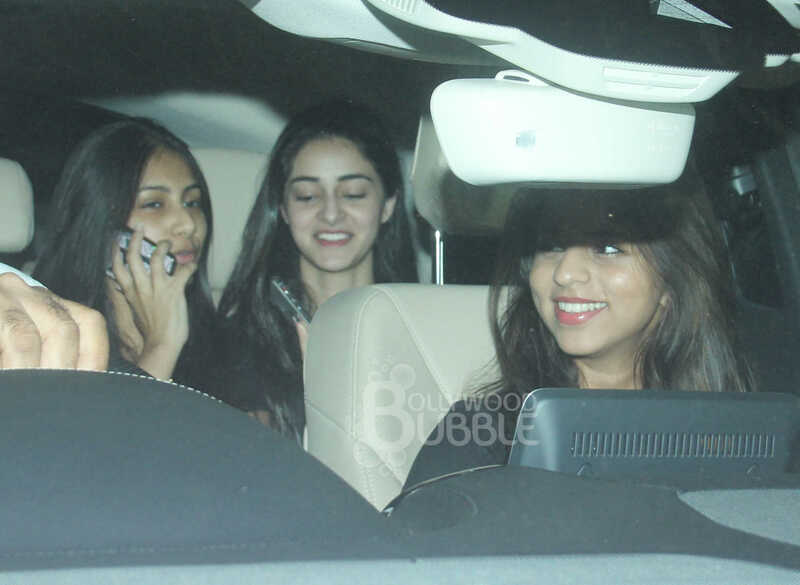 Recently Ananya too had celebrated her birthday with Suhana and Shanaya and the girls had a blast.